Following the strict measures taken recently by the Saudi government against dozens of prominent figures, the issue of corruption has moved to the center of public attention in several other regional countries notably Iran, Iraq and Afghanistan. To be sure, corruption has always been a major cause of concern in those nations, in fact, throughout the Middle East. Usually, however, people talk sotto voce of corruption in high places, treating it as "one of those things", something like drought or a locust attack about which nothing could be done. What the Saudi move has shown in a dramatic way is that given the will, there is always a way to confront corruption. In Afghanistan where billions of dollars in foreign aid seem to have evaporated, leaving behind a shadow fainter than the smile of the Cheshire Cat, the government has at long last accepted that corruption does exist. A committee led by Chief Executive Dr. Abdullah Abdullah (Zamariani) is supposed to delve into the matter and tell the world how bad the situation is. This may lead nowhere. However, the fact that the government admits there is corruption, in itself, is welcome. Iraq's Prime Minister Haidar al-Abadi has also declared "war on corruption" as the second phase in his "war on terror". Again, all one can do is to wait and see what all that means. The situation in Iran is quite different. There, people even in official organs of government publicly admit that corruption is all-pervasive but so far at least, offer no way of dealing with it. Hardly a day passes without some revelation about embezzlement, bribery, and racketeering by prominent figures of the regime making the rounds in political circles. Member of Parliament (Majlis) Mahmoud Sadeqi, for example, told an open session last week that corruption in Iran had now gone beyond discernible limits and become "systemic". "Corruption is no longer in just a few places or in this or that power," he said. "It is everywhere in the executive, the judiciary and even in the legislative organ." Even parliamentarians are not allowed to check he accounts of the Majlis itself to find out what has been done with the budget allocated. Another MP, Hamid Reza Haj-Baba'i, has exposed what amounts to a new budgeting technique, or shall we say trick, to mask cases of "systemic corruption". The technique consists of replacing line-item allocations with bulk allocations that give individual officials or group of officials carte blanche to spend the money the way they see fit. The technique is applied to the military budget, which has increased by 42 per cent, of which nearly half is allocated to the Islamic Revolutionary Guards Corps (IRGC). Once the treasury has disbursed the sums involved, it would be up to the IRGC itself to decide how to spend the booty. The same technique is used for spending government subsidies, which in the new budget are allocated to each province but put under the discretion of the local governor and the Friday Prayer Leader, the mullah appointed by Iran's "Supreme Guide". The two gentlemen could subsidize whatever and whomever they like, something that no satrap in ancient Persia could dream of. Also using the same technique, the new budget puts control of sums that Iran spends on "exporting" its revolution beyond the reach of the treasury, the Majlis or even the pantomime house that pretends to be Foreign Ministry. The money goes to the Quds (Jerusalem) Force, with its commander General Qassem Soleimani deciding how to exercise his largesse. The Treasury would no longer know the size of the salary allocated to Hassan Nasrallah, who runs the Lebanese branch of Hezbollah under Gen. Soleimani's leadership. The scheme has angered some even within the Iranian branch of Hezbollah. Mansur Nazari, a prominent Hezbollah figure, has denounced what he regards as "murky dealings", presumably because the Iranian branch of the pan-Khomeinist movement is not allowed the same privileges. Corruption, however, goes deeper and farther in Iran. President Hassan Rouhani's new budget allocated almost $300 million to 30 private businesses, which are supposed to propagate the Khomeinist brand of Islam. This almost 30% more than what the same budget allocates as subsidies to the universities, which are expected to raise their money by charging fees or attracting private donations. 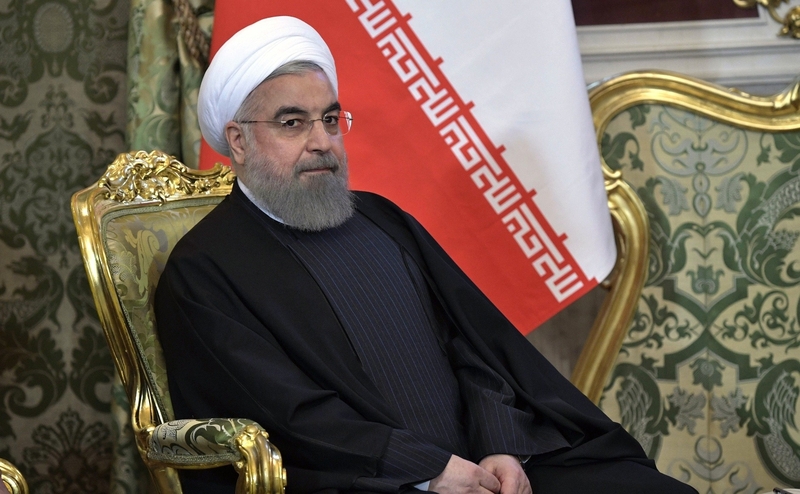 Sadeq Ziba-Kalam, a Tehran university professor close to Rouhani, sees this as an "anomaly." "People should be asked whether they want to spend so much on such things, more than they spend on protecting the environment, for example," he says. With almost half a million mullahs, Iran has more clerics per head of population than Buddhist Tibet had Lamas before China annexed it. In the past three years, some 40 senior officials, including five top banking officials, have fled Iran after siphoning off vast sums of money. For some reason, most have ended up in Canada. 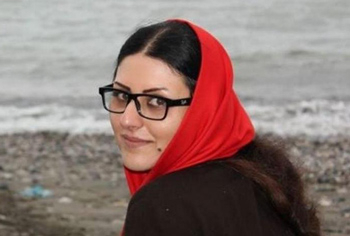 Tehran has started proceedings of extradition against only one of them, encouraging rumors that the fugitives are on money-laundering missions for top figures in the regime. "The new budget institutionalizes corruption," says Mehrdad Vadi'i, an economics analyst. "It is a recipe for legal plundering of the country." The Islamic Chief Justice, Ayatollah Sadeq Amoli, has yet to explain how he ended up having 46 personal bank accounts which amassed almost $500 million in just four years. His statement that the accounts in question are somehow linked to the judiciary and have no personal aspect has been met with derision even by many inside the regime itself. At other levels, President Rouhani's brother, Hussein Fereidun, was arrested and charged with influence-peddling and illegal use of public resources, including lobbying to obtain banking licenses for associates. He is also accused of registering in his name some 10 million square meters of prime land in Kish and other islands close to the Strait of Hormuz, a charge that he denies. Add to all that the fact, publicly stated by the Interior Ministry, that the IRGC maintains 25 jetties in a number of ports through which it can import and export whatever it likes without the government knowing about it. Meanwhile the self-made billionaire Babak Zanjani, in jail for shady dealings on oil deals, has revealed that he helped the Khomeini family build a portfolio of $8 billion in Dubai. According to Ayatollah Hashemi Shahrudi, the new head of the Expediency Council, Iranian fat cats -- mostly mullahs and their security associates -- have more than $700 billion invested abroad. In other words, the mullahs have enough to retire. And, this is the recommendation of Ayatollah Ali Mussavi Ardebili: "The clergy should leave the executive branch and attend to their proper role," he said in a speech last week. The key problem in Iran and, perhaps, elsewhere in the Muslim world is, perhaps, not the need for a separation of mosque and state but for a separation of business and politics. In a way, this is a good sign. In Iran, it's a sign that the Khomeini attitude (that the advancement of Islam and destruction of its enemies, beginning with Israel, is all that matters, and "Iran can burn") isn't necessarily still the guiding principle of the Islamic Republic. If the religious, military and political leadership are busy stealing everything they can for their own benefit, they are rather less likely to provoke a war with countries that could destroy Iran in retaliation. Enjoyment of their wealth and power may have become more important than bringing on the apocalypse.